The two teams met again in the championship game of the Big East Tournament Saturday night in front of a sold out Madison Square Garden. 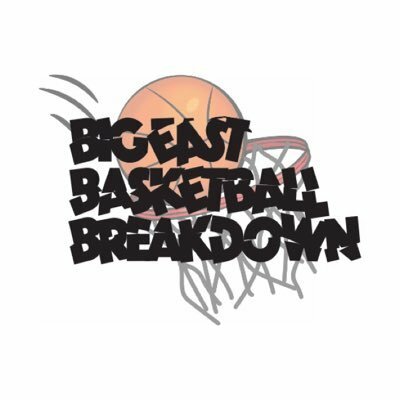 On one of the biggest stages in college basketball, the two teams fought till the bitter end in a classic Big East matchup. The atmosphere at the Garden Saturday night was electric. It was sold out, as it had been for the quarter and semifinals which is a first since the conference realigned in 2014. Villanova got out to a hot start like it had the night prior against Butler. The Wildcats went on a 9-0 run early. With 10 minutes to go, Villanova went on a 8-0 run that put them up by 10. Providence then went on a run of their own to cut the Villanova lead to one. Villanova was able to hold their lead against Providence as they ended the half leading 31-27. Villanova got off to a hot start again in the second half. The Wildcats went on a 9-0 run to push their lead to 12. Providence never gave up as they came back to tie the game at 51 after Andrew Edwards drove and scored. Edwards was fouled giving him an and-one opportunity that he converted to put the Friars up one with 7:49 to go. Villanova took control of the lead again with 6:56 to play. The Friars then tied the game at 58 with 1:38 to go as Senior Kyron Cartwright sank a fadeaway jumper. Freshman Alpha Diallo, who had performed well all week, converted on a layup with 40 seconds to go to put Providence up by two. Villanova guard Jalen Brunson was then fouled by Diallo on the other end and went to the line for two. Brunson hit both free throws to tie the game at 60 with 30 seconds to go. Providence then held for the final shot of the game to win the championship. Senior Kyron Cartwright was the one who took the final shot of regulation for the Friars. Cartwright had shown his ability to make big plays in crunch time as he hit a jumper the night before against Xavier to pushed that game into overtime. Cartwright however could not connect on the jumper as the game went into overtime tied at 60. This would be the third overtime game that the Friars had played in within a three day span. The Friars were able to pull off overtime wins against both Creighton and Xavier. Saturday’s game however was different as Providence was unable to mount a run to hold off Villanova. With 20 seconds to go Miles Bridges blocked an Alpha Diallo layup that lead to a Jalen Brunson dunk on the other end to seal the game. Villanova went on to win 76-66 and clinched their second straight Big East Tournament title. As confetti rained down from the rafters at Madison Square Garden the Wildcats celebrated, a feeling the Wildcats had become accustomed to over the past couple years. The tournament MVP trophy was presented to Mikal Bridges who had 25 points in the win. Bridges, along with Jalen Brunson, combined for 56 of Villanova’s 76 points. After the confetti had settled and the nets were cut down, Villanova head coach Jay Wright was accompanied by Jalen Brunson and Mikal Bridges to the media room for the post game press conference. Both Jalen Brunson and Mikal Bridges have been a huge part in Villanova’s era of dominance. With the duo leaving soon, the future of the team is unknown. This is something Jay Wright doesn’t want to have to focus on as the team heads to the NCAA Tournament once again. As yet another Big East Tournament ended, the Empire State Building lit up with Villanova’s colors for the second straight year. Whether or not the same will happen again next year is uncertain. Only time will tell.